Product prices and availability are accurate as of 2019-04-25 22:14:19 UTC and are subject to change. Any price and availability information displayed on http://www.amazon.com/ at the time of purchase will apply to the purchase of this product. 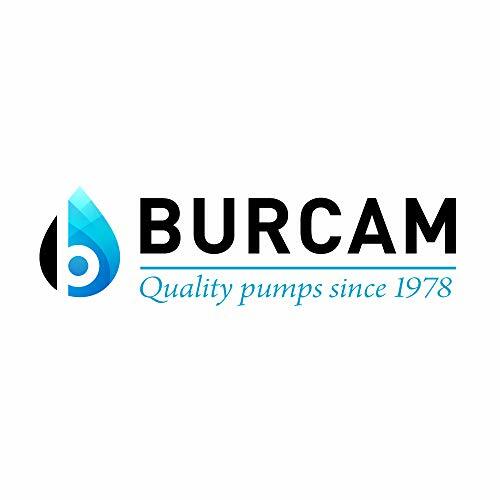 The BURCAM 300506S automatic submersible utility pump is designed for use in residential applications for water transfer. 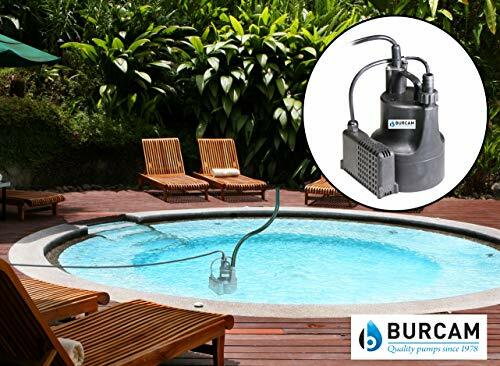 It is ideal for draining basements, spas, small pools, flat roofs, and window wells. The electronic switch monitors the water levels while pumping so that you can simultaneously do other things. 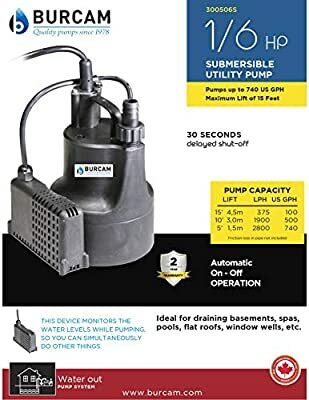 The switch activates the pump at approximately 1-3/4 inches of water and continues to power the pump for approximately 1 minute after reaching its shut off level to allow the pump to drain the maximum amount of water possible (down to 1/8” depending on the surface area to be drained). 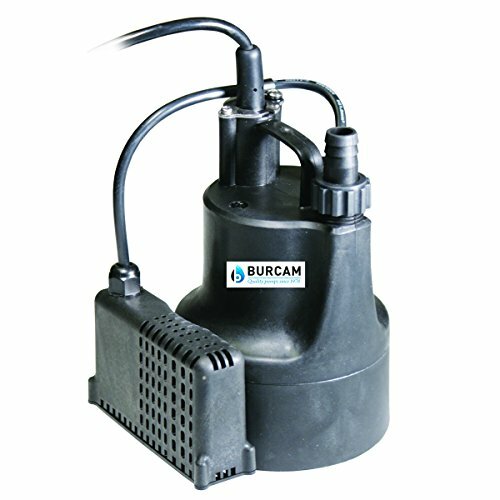 The thermoplastic body is corrosion-resistant and the 1/6HP, 115V, 60 Hz motor includes automatic thermal and overload protection. The pump discharge is garden hose compatible for easy hook up. The maximum head is 15 feet and the capacity is up to 740 US GPH.